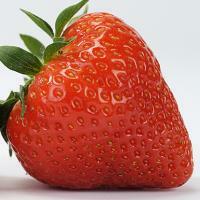 Neessen propagates various varieties and grades of strawberry plants. Our range includes varieties to suit any target group. Below you will find more information on our varieties and grades. Cuttings are plants with active root tips that will take root in a substrate immediately after planting. Plug plants are used as an alternative to fresh plants. Fresh plants are used for ordinary cultivation or for planting in waiting beds. Tray plants are used for cultivation in greenhouses and tunnels or on benches, for early fresh cultivation, summer cultivation or further cultivation. Waiting-bed plants are used for cooler or later cultivation outdoors (whether or not on ridges) and on benches. Frigo plants are used for various purposes, depending on their grade.